nesdev.com • View topic - The quest for mid-screen palette changes! The quest for mid-screen palette changes! Post subject: The quest for mid-screen palette changes! 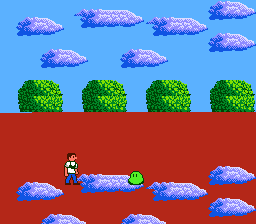 After successfully setting up the MMC3 and figured out how to use the IRQs, I decided to try something very few NES games attempt and change the palette mid-screen. One of the characteristics of the MMC3 scanline counter is that if the Sprites are loaded from Pattern Table 1 and the backgrounds are loaded from Pattern Table 0, the counter will trigger an IRQ at around pixel 260 of the current scanline. This means that we should be able to change at least one color without any visible graphical glitches. So, can somebody tell me what is the right way to go about this? How do I fix these problems? Greetings! I'm That Bio Mechanical Dude and I like creating various stuff like movies, games and of course chiptunes! You can check out my YouTube Channel. Post subject: Re: The quest for mid-screen palette changes! One of the characteristics of the MMC3 scanline counter is that if the Sprites are loaded from Pattern Table 1 and the backgrounds are loaded from Pattern Table 0, the counter will trigger an IRQ at around pixel 260 of the current scanline. This means that we should be able to change at least one color without any visible graphical glitches. No, it does not mean that. It is not possible to change one color without any visible glitches. At all. Ever. 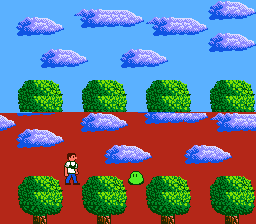 At the very best, the scanline following the palette change will have no sprites. But even this requires absolutely zero variation in the CPU timing. And IRQs on the 6502 always have some jitter. The window in which you can disable rendering and write to the PPU is 64 pixels long. That's 21 CPU cycles. Note: There is no time here to load your three registers with new values! (other than after "a") There are a very few don't care bits in the above sequence ("b" & $E1, "c" & $E0, "d" & $C0, "e" & $C0) that help a little, but probably not enough. So you basically have to move this entire sequence early in order to have enough time to load the registers with the values you want to write. There will be a visible glitch and you can't cover it with a sprite (because rendering will be disabled). Furthermore, there are very strict timings on when you can disable rendering without breaking sprites for the entire remaining redraw. If there are sprites that intersect the place where you want the palette update, you only can move the entire sequence early by 16 pixels, enough time to LDx immediate twice, or LDx zeropage once. 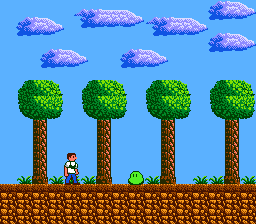 (If there are no sprites near the split, you can move the entire sequence early by 64 pixels) But the earlier you move it, the more visible the glitch. Blagg has discovered a way to get rid of jitter by abusing the $4014 sprite DMA, I don't remember the details. I don't think it's applicable to MMC3 IRQs, but rather NMI, but I might be wrong. C64 demoes usally uses crazy hardware abuse to remove jitter entirely, and they are able to write to hardware video registers at a fully stable timing. As for the original topic, if your goal is just to change the background colour (or even a significant part of the palette) once in the middle of the frame, for example in order to change the palette for the status bas, it's probably best to rely on a single glitchy scanline. If you want to change the background colour each line, it's possible and I did a demo about it 9 years ago, which was itself inspired by a demo by Memblers I think. Fantastic Adventures of Dizzy is one of the few games to do midscreen palette changes well. Please feel free to edit/contribute to it. 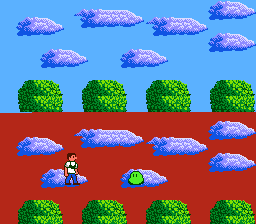 I decided to try something very few NES games attempt and change the palette mid-screen. There's a reason for that, you know. There are several limitations that apply to mid-screen palette changes, so most programmers come to the conclusion it's not worth the trouble. It's just not possible to change even a single color without disrupting the background and/or the sprites for at least 1 scanline, so outside of status bars or title screens, cutscenes and the like, this is of little use. And I wouldn't trust emulators when testing this either, a lot of them aren't accurate enough to show the correct results for mid-screen PPU manipulations. BioMechanical Dude, this is one of the things I have tried and failed to do. My understanding of the PPU, is that during rendering, the PPU is auto-incrementing the PPU address, using the same bits as 2005/2006, to fetch the correct pixels to put on the screen. If you change 2006, midscreen, it starts fetching tiles/bytes from that new address. Also, you can't change Y scroll, midscreen, by doing 2 writes to 2005. You can with the 2006/2005/2005/2006 trick, however. One easy thing you CAN do, is have the top portion of the first nametable reserved for a HUD. Set the Y scroll to avoid showing this for most of the screen. Then, near the bottom of the screen, 2 quick writes of zero to 2006 (I think) should then show the HUD at the bottom. You also have to clear the fine X scroll using $2005, since $2006 doesn't affect that, otherwise the status bar will jitter left and right by up to 7 pixels as the game scrolls.